I’m a big fan of podcasts. Especially when making the commute to practice there’s nothing better than listening to a derby podcast to get hyped. Since derby content creators are volunteers it can be hard to find quality, consistent podcasts! I have my favorites but here are 9 roller derby podcasts you need to check out for yourself! S.S. Roller Derby, hosted by Allie Gator and Hammer Abby, is one of my favorites! Started in 2017 this podcast has already tackled some important topics like Roller Derby & Racism and Transphobia. They also have done some great interviews with the Aquaman Army, Val Capone, and members of United Derby Officials Local 608! I’m a big big fan of these two and this podcast and can’t recommend it enough! I’m kicking myself for only finding this podcast last month! This new podcast has only just launched last year is already 20 episodes deep! Tons of great resources and discussions on important questions for derbyverse members at all levels! Flat Mat Radio was one of my favorites! Unfortunately it ended in 2017 but there’s a great archive of episodes you can listen to anytime! I learned a lot about taking care of my body as an athlete and it has some great interviews with skaters like Smarty Pants, Juke Boxx, and Screw Barrymore. Off the Track is Mick Swagger’s podcast on the WiSP network and is FANTASTIC. Mick has put so much effort into educating the derbyverse important topics in a really accessible way! Their episodes on Allyship, Oppression, Life After Roller Derby, and The Psychology of Roller Derby are my favorites! The Hit Squad podcast is a great mix of derby interviews and resources for mental game! Highly recommend, especially for those looking for mental toughness/resilience/training! 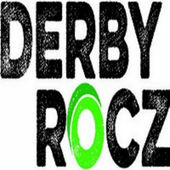 Derby Rocz has been the most consistent podcast with almost 200 episodes! They def have their fingers on the pulse of the derbyverse, I always hear about something new and exciting! The Fans of… podcast features tons of skater interviews in the area! Started about a year ago they already have great episodes like interviews with Ovary Actor, talking about Quad Almighty, and a Rollercon episode about short track derby with Booty Quake and Lulu Demon! If you’re a derby person who like TV/movies/pop culture this is the podcast for you! They also talk about all things derby so it’s my favorite to have on in the background when I’m working on derby stuff! Smarty Pants/ Nadia Kean recently announced this new podcast on her Facebook. I’m especially hyped for this, even though I’m not a coach, because every blog and interview I’ve ever encountered with Smarty has been full of exceptional knowledge. It launches February 3rd and I can’t wait!! Let’s talk about roller derby!